The latest book about Steve Jobs suggests the late Apple cofounder’s dislike of TV was one reason he terminated a 1990s personal computer called the Twentieth Anniversary Macintosh (TAM). The expensive, short-lived machine was launched in March 1997, months before Jobs resumed leadership of the firm as part of its purchase of NeXT. It had a tuner that would have allowed it to double as a TV set, and that didn’t sit well with Jobs. “I just don’t like television. Apple will never make a TV again,” Jobs is quoted as saying in a Fast Company excerpt from “Becoming Steve Jobs: The Evolution of a Reckless Upstart into a Visionary Leader” by Jobs interviewer Brent Schlender and Fast Company editor Rick Tetzeli. Intended to mark the 20th anniversary of Apple, TAM was developed by a team under Apple designer Jony Ive. It had a PowerPC 603e CPU, a 12.1-inch LCD screen and a CD-ROM drive housed in a black lacquered plastic frame that stood upright. Bose speakers with premium sound rounded out the unit. “We’re pushing design extremely aggressively as we close the millennium,” Ive said in a promo video for the computer. With a suggested retail price of US$7,500, the TAM had a production run of only 12,000 units and was canceled less than a year after its launch. “This was Jony’s introduction to Steve’s coldhearted decision-making,” the book relates. Ironically, Apple launched its Apple TV network appliance in 2007, and has gone on to sell 25 million units. Jobs, as it turns out, was completely wrong about the integration of television and computers. 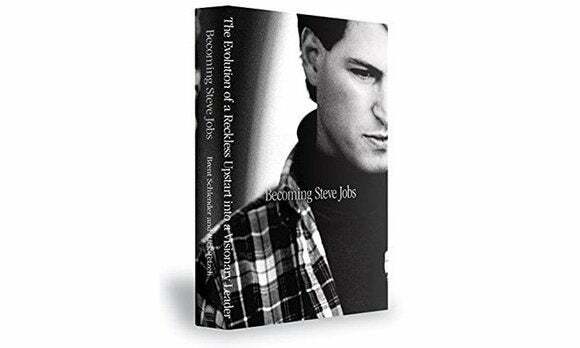 “Becoming Steve Jobs” is set to be released March 24.